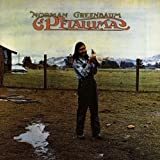 Norman Greenbaum's, "Spirit In The Sky"
A lot of listeners have mistakingly believed that this was a Christian worship song. In fact, it was mocking Hare Krishnas and other Christian fundamentalists. This line is a dead givaway in saying that, to a fundamentalist, Jesus can only be friends with followers "who have never sinned" in their entire life, as opposed to the common Christian belief that one is born a sinner and is "made perfect" by the body and blood of Christ.